the world’s first motion picture producer (Walt Disney) to embrace the new medium of television at a time when all other producers saw TV as a threat. Walt saw it as an ally and used it to promote his films and his new theme park, Disneyland. the world’s first use of the “mini-series” concept with programs like Davy Crockett and The Swamp Fox. the world’s first “stereo” television/radio simulcast, using both FM and AM stations to broadcast different channels for The Peter Tchaikovsky Story. the world’s first fully computer generated feature ever nominated for a Best Picture Oscar, Up. Over the course of my tenure, I had the privilege of working as a marketing, PR, and synergy executive inside the heart of the marketing machine that is The Walt Disney Company, one of the world’s most successful and diversified entertainment organizations on the planet. The experience afforded me the opportunity of working and learning from true “world class” marketers throughout the company’s many, many, business segments. The insight I gained from my Disney marketing experiences, particularly during the company’s explosive growth in the era of MIchael Eisner and Frank Wells’ leadership, provided me an amazing education in this creative discipline. Disney was, in fact, my Harvard. While I left Disney in 2000, all of that creative, fun, adventurous, remarkable, and yes, even magical, know-how that was still in my mind and in my heart needed to be shared with others who could enjoy and more importantly, learn, from what I had experienced. I decided to write a book. 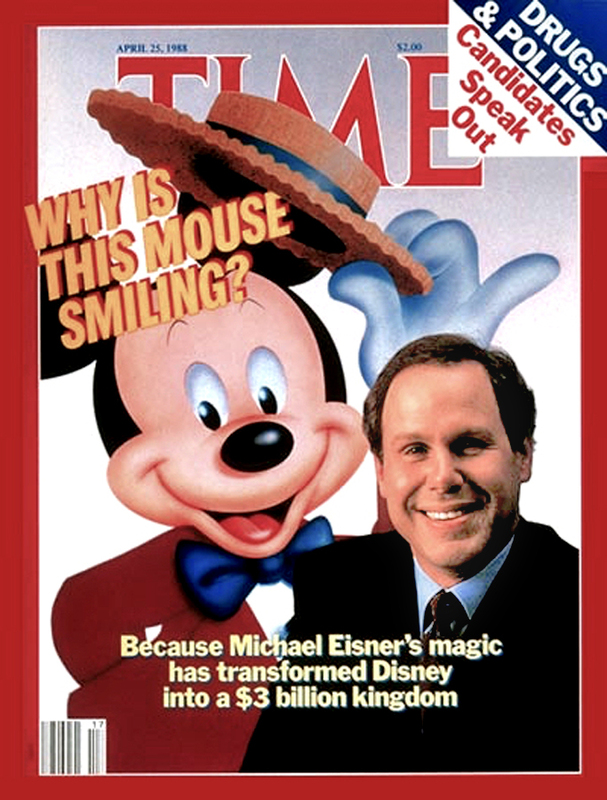 The result was my newly released (July 2015) tome, Inside the Disney Marketing Machine – in the Era of Michael Eisner and Frank Wells. You can view a two-minute video trailer of the book on YouTube. The book covers lots of territory but does not read like a marketing textbook. Like everything we did at Disney, it’s all told as a story…an entertaining story, while incorporating much to learn. Inside the Disney Marketing Machine answers such questions as: How important was marketing at Disney? How did we derive our BIG ideas? How were such ideas implemented? How did teamwork enhance our mission? How did synergy propel every project to greater heights and bigger profits? What made synergy actually work within the Disney organization? Who were the marketing movers and shakers? How did internal communication play into the big picture? How were education and motivation incorporated into the cross-divisional process? How did we break down divisional silos? What were the results? Having been with the organization for over twenty years, I had access and was able to personally interview over 25 of Disney’s top creative, marketing and entertainment executives in the Eisner and Wells era that were involved in so many creative and high-profile marketing endeavors. It all comes directly from the horses mouth so to speak. Gigantic theme park events, celebrity parties, attraction openings, special events, film strategies, big ideas that happened and some that didn’t, the entire synergy program process, and more are revealed in the book. 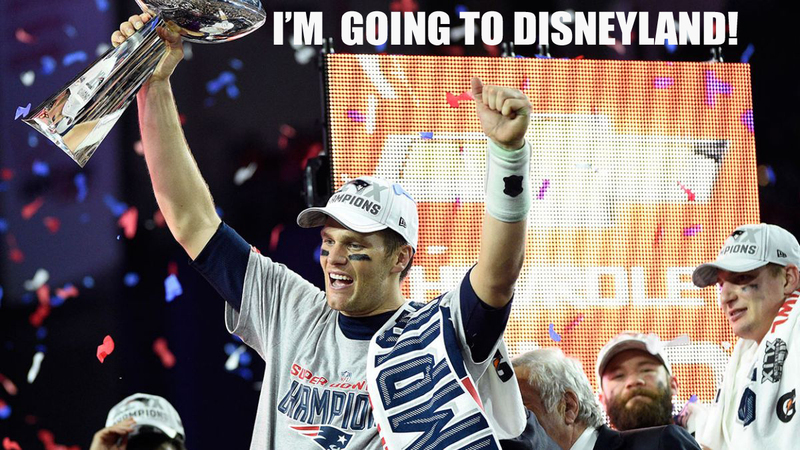 On of my favorite chapters in the book is called “What’s Next?” describing one of Disney’s most well-known marketing campaigns that put game-winning athletes and others in high-profile moments asked the question by an unseen voice, “Now that you’ve won the Super Bowl (as an example), what are going to do next?” The response, “I’m going to Disneyland!! !” (or Walt Disney World depending on which side of the country the commercial aired). The key was that the emotionally charged commercials ran just hours after the game winning moment. In fact, as told by one of the key Disney producers of these spots, they once got the footage of a World Series winner cut, edited and on the air within ten minutes of the end of the game. How did they do it? It’s all explained in the book. It’s quite amazing. While marketing has come into its own in the digital world today as far as distribution of ideas, stimulating world-wide conversations, and generating excitement and awareness, the fundamental act of marketing remains the same. It all starts with an idea and how to make the most of the concept from a marketing perspective. At Disney we never let an opportunity go by. We constantly searched under every rock for new content to present to the world as well as generating enthusiasm about that concept within the company itself. There was no down time and I say that in a complimentary way. How Disney Got Its Mojo – This is a lively behind-the-scenes tour of a giant, iconic U.S. corporation, focused on the stellar decade 1984-1994 when it was run by the team of Eisner and Wells. It is also a spirited presentation of marketing, both to the outside world and as a tool of management within a company…It is an upbeat narrative, packed with anecdotes that illustrate the application of marketing principles, is fun to read, and it gives a compelling demonstration of how to create a whole that is greater than the sum of its parts. FULL of stories even Disney veterans may not have heard – This book does an extremely good job of pulling back the curtain and taking you backstage and into meeting rooms where key decisions were made. That era (Eisner and Wells) at Disney is Harvard Business School material. It remains a testament to what creative people can produce when they are given freedom to create. Business School-student or Disney fan – you will LOVE this book. A must read for students of Marketing, Public Relations or Disney History – This book is chock-a-block full of how Eisner/Wells pushed and reinvented marketing and PR integration into “Synergy” and how the author helped bring it about. Mind you, besides the fascinating marketing stories, there’s lots of trivia and history for those years too. A must read for students of Marketing, Public Relations or Disney History. Should Be Required Reading in Business School – This book was a revelation. It clearly illustrates how the elimination of silos, the application of creativity, and the taking of a long-term view (instead of quarter-to-quarter) can result in considerable revenue growth and significantly increased brand value. If you are a marketer or a communications professional, do yourself a big favor and read this book. A little beneficial pixie dust might just rub off on you. A Real Look Inside the Disney Marketing Machine – Once I started reading this book, I couldn’t put it down. It is a must read for anyone wanting to rally their teams together to make 1 + 1 = 3 (as Lorraine puts it). Seriously – get this entertaining and insightful book now. Five Stars – A must read for Disney fans (as well as marketing students wanting to see how it’s done) – A wonderful book for anyone interested in Disney, or anyone interested in the marketing profession, to see how it’s really done. Five stars, Lorraine! I had so much fun writing this book. I got a chance to catch up with Disney colleagues and friends and, most importantly, finally putting what I’ve felt about my marketing experiences at Disney into words that could be shared globally. Whether you are a Disney aficionado or a student of marketing, a marketing professional, or a teacher of marketing, I know you will enjoy this book and come away from it with new insights. Watch out, here comes the pixie dust! Next Next post: Are You Really a Writer?